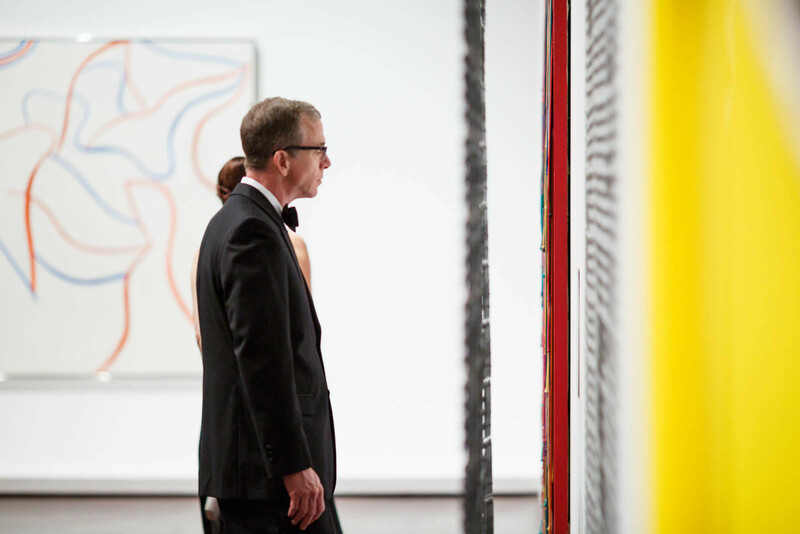 We’ve worked with the Blanton Museum of Art for a long time and their galas are always fabulous. Art event photography can be challenging, but we really enjoy it. 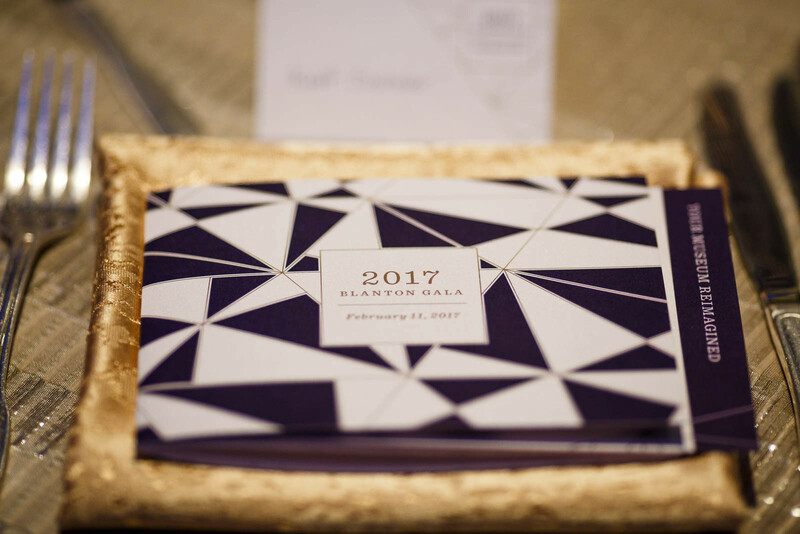 We were contracted to photograph the 2017 Gala at the Blanton Museum. The 2017 gala marked a special occasion; this was the grand opening of their newly renovated second floor wing. 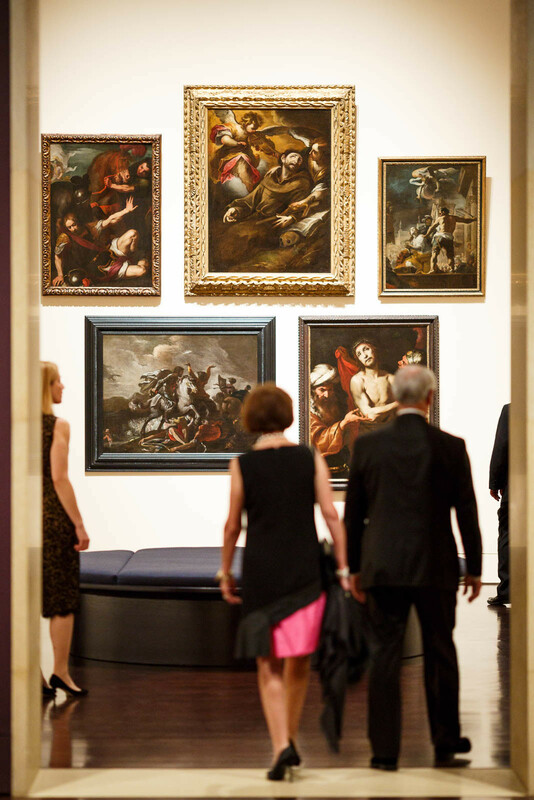 Donors from far and wide came to see the renovated and reinstalled permanent collection galleries. People as stunning as the art itself filled the halls all evening. 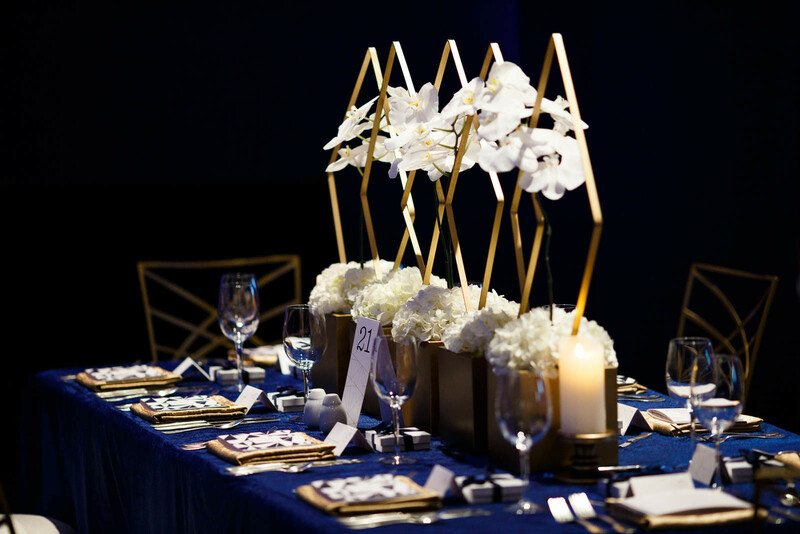 The gala dripped with glitter, blue velvet, and abstract gold geometric patterns. Guests entered the Blanton’s famous main hall, and a beautiful grand performance greeted them. Linsey Lindberg of Austin Oddities, choreographer/dancer Kari Burke, opera singer Liz Cass, and cellist Jen Mulhern collaborated to create original music, choreography, and costumes for the event. 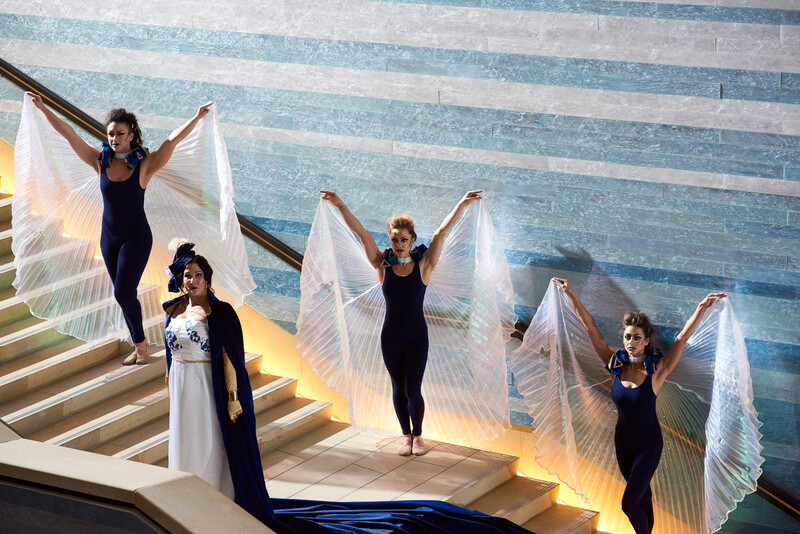 A glorious 20 foot long cape trailed behind Liz on the grand stairway as the dancers weaved through the crowd. 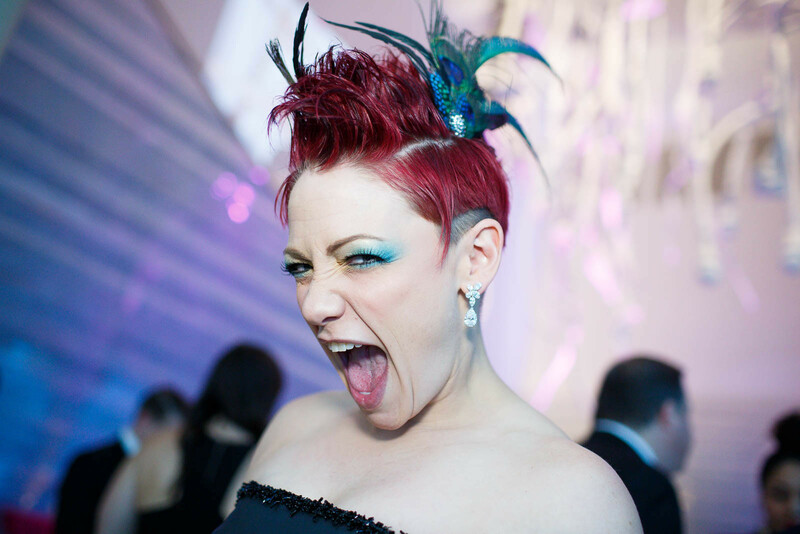 Liz’s incredible voice reverberated through the entire hall and brought the room to life. The piece finished with everyone moving upstairs for the grand reveal. Meredith Johns of Hawgfly Productions designed the hair and makeup concept for the performers. 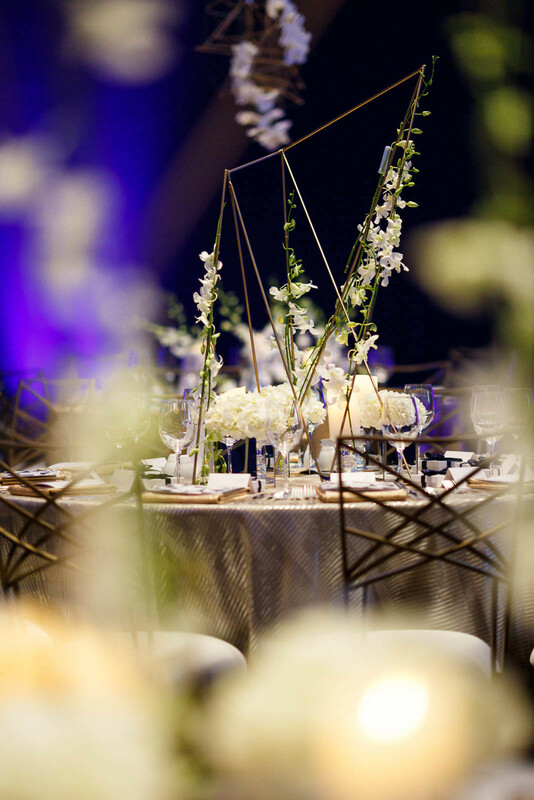 Their look matched the decor seamlessly, and the living art added a special touch to the event. 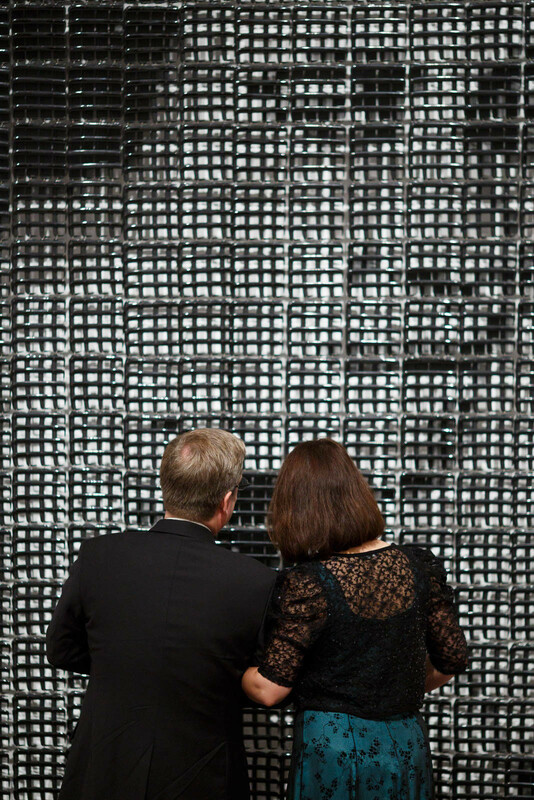 Magic filled the halls as people explored and experienced the art for the first time. The second story now hosts twice as much art in many styles, such as Latin American modern and contemporary, Roman bronze statues, and Native American art. The ever changing backgrounds made this event a photographer’s dream. Often during event photography, we deal with less inspiring backgrounds. We have to work twice as hard to get interesting shots. Here, the people and the art were both so vibrant that we had endless opportunities for gorgeous shots. The trick is a quick and discerning eye, because moments come and go within a second’s time. A photographer is always watching for the perfect subject, background, and lighting to catch the shot. One second too late, and your shot is lost because another guest walked into your frame. Shooting with lots of people, color, and art is always fun. Magical events that inspire in more ways than one are rewarding. These events remind us why we do what we do. 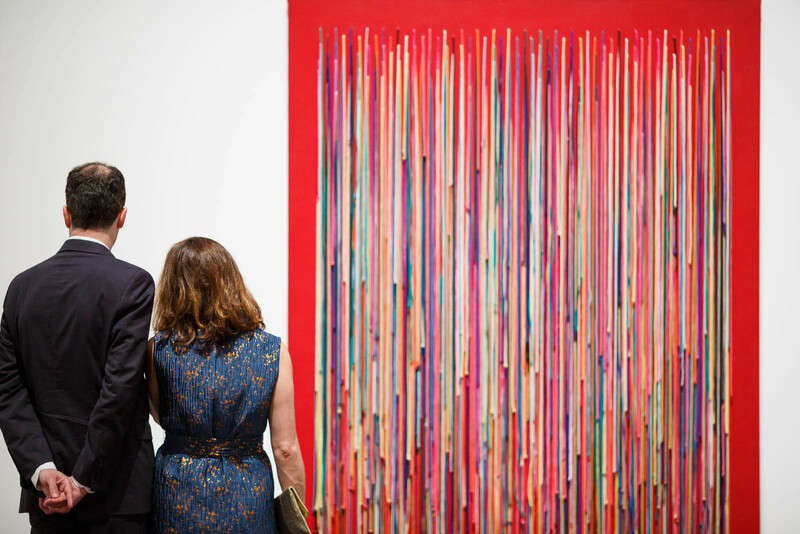 And even at a high society art event, there is room for sparkling personalities to shine through.